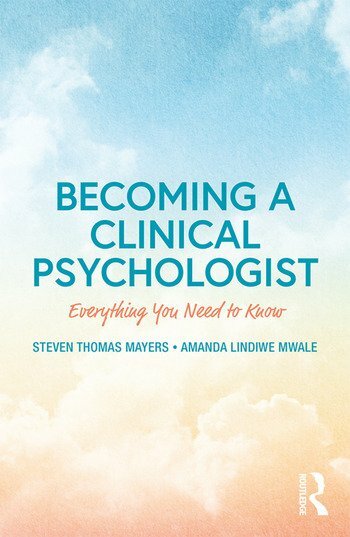 Becoming a Clinical Psychologist: Everything You Need to Know　brings together all the information you need to pursue a career in this competitive field. What is it like to train and work as a clinical psychologist? How to make the most of your work and research experience. How to prepare for clinical psychology applications and interviews. Is clinical psychology the right career for me? By cutting through all the jargon, and providing detailed interviews with trained and trainee clinical psychologists,　Becoming a Clinical Psychologist　will provide psychology graduates or undergrads considering a career in this area with all the tools they need. Steven Thomas Mayers is a UK trained clinical psychologist currently working in Sydney, Australia. Since 2007, Steve has worked in a wide range of contexts with a variety of service user groups and professional teams in mental health, physical health, neuropsychology and social care settings in the UK and Australia. Amanda Lindiwe Mwale is a Zimbabwe-born clinical psychologist who trained and currently works in London, UK. Amanda has worked in and conducted research with different groups of individuals and in a variety of clinical settings, including neuropsychology, developmental psychology, health psychology, adult mental health and intellectual disabilities.